Albania gained EU candidate status on 24 June 2014, after reform efforts and encouragements were agreed by the EU's Enlargement Commissioner. This is a key step for a country that still undergoes major corruption and crime issues. On 25 June 2017, parliamentary elections took place in which the Socialist Party of Albania won convincingly by obtaining 48.3 percent of the votes (74 out of 140 seats). Since 71 seats are needed for a majority, there will not be a parliamentary coalition. Former major of Tirana and SP leader Edi Rama will remain as Prime Minister. Want to get notified by mail when Albania gets updated? Ilir Meta is the new President of Albania, elected on 28 April 2017 with 87 out of 140 votes. He is also the Leader of the Socialist Movement for Integration of Albania (LSI). The LSI was established in September 2004 by Meta, after he left the Socialist Party of Albania (PS). During previous parliamentary legislatures, Meta served as the Speaker of Parliament (2013-2017), as Deputy Prime Minister and Minister of Foreign Affairs (2009-2010) as well as Deputy Prime Minister and Minister of Economy, Trade and Energy of the Republic of Albania (2011). Meta is a strong campaigner and advocate for both regional and European integration, and strives for further stability and peace in the Western Balkans. Edi Rama was born on 4 July 1964. At the time the Communist regime fell, Rama was a professor at the Albanian Academy of Arts. In 1995, he received a scholarship and moved to Paris. In 1998, he returned to Albania and was appointed Minister of Culture by the acting Prime Minister, a position he held until 2000. At that time he was not yet member of the Socialist Party of Albania (SP). In October 2000, Rama ran in the local elections in Tirana as an independent candidate, yet supported by the SP. With 57 percent of the votes he was elected Mayor of Tirana. Many of Rama’s most clear policies were aimed at transforming the appearance of the capital and its atmosphere. Rama united with students to improve the surroundings of the city, and with the Clean and Green Project he created 96,700 sq meters of green land. In December 2003 and in February 2007, Rama was re-elected for his second and third term, despite criticism he had faced. In October 2002, Rama was awarded for his work in the field of environmental issues, which have contributed to the fight against poverty. The award was granted by the United Nations’ General Secretary, Kofi Annan. In 2004, Rama was chosen World Mayor 2004 and in 2005 he was included in Time Magazine's list of European Heroes. Rama joined the SP in October 2003. Two years later, he replaced Fatos Nano as the leader of the SP, after the party was defeated in the elections. He was re-elected as the party’s leader in September 2009. The vote was called after the SP lost the general elections on June 28 2009, to the Democratic Party. Rama was one of the founders of the Democratic Movement, which took part in bringing about the collapse of the communist state between 1990 and 1992. He was a founding member of the Movement for Democracy, a political group which played a determining role in the struggle for democracy during 1996 and 1997. Rama has written several articles and analyses for newspapers and magazines. He is also author of different personal painting exhibitions in Europe, North and South America. Since December 2018 Albanian students organise protests to oppose the controversial law on higher education, the quality of teaching and corruption. The nationwide protests of thousands of students were sparked by a 4 December boycott of lessons in Tirana at the Faculty of Architecture and Urbanistics of the Polytechnic University, after which thousands of students marched towards the Ministry's office. The peaceful protests mark a new standard outside of the political sphere, where former protests were mainly organized by political parties. A recent report of 2018 by Reporters Sans Frontiers, shows that Albania is now classed as partly free, where the state of the media is labelled as highly problematic. Censorship is widely present and journalists express working in fear and uncertainty. The overall media of the country is dominated by wealthy businessmen who are linked to main political parties. Albania gained the EU candidate status on 24 June 2014. Its application for membership to the European Union on 28 April 2009, was an important landmark for a country that 20 years ago had emerged from a communist rule as one of the poorest, most isolated, most repressive and most inscrutable in Europe. Moreover, Albania’s transition to a democracy and a market economy had been launched under challenging circumstances during a period of extreme instability in the Western Balkans. The conclusion of the Stabilisation and Association Agreement with the EU in 2006 showed that Albania is willing to move to “Brussels”, and since then progress has been made on many fronts. Nevertheless, tremendous roadblocks still lie ahead for Albania on its road to full membership of the EU. For instance, the country shows some severe internal problems that could slow down the process of modernisation. Corruption is, for example, still a big challenge and is damaging the country’s economic potential in a serious way. Also, the elections in Albania still do not meet all the international democratic standards according to the OSCE. Albania has been plagued for the last decade with political crisis which is characterized by blocking of the parliament by the opposition. After the parliamentary election of 2009, the Socialist Party (SP) refused to acknowledge the official results due to the alleged fraud by the ruling Democratic Party (DP). However, the Central Election Commission – that is internally divided among political lines – rejected the request from the SP to do a recount in some smaller regions. Consequently, the SP started a parliamentary boycott, and for nearly two years the Socialist Party was on and off boycotting the parliament as a protest against the election result. The local elections on 8 May 2011 could have broken the political deadlock, if the elections had taken place smoothly. Although the SP won in most municipalities, it lost in the capital Tirana after a controversial recount of the votes. With the win of the left-wing Alliance for a European Albania at the 2013 parliamentary elections, PM Sali Berisha’s longest rule since the collapse of the Communist regime in Albania ended. During the 2013 parliamentary elections the left united into a single alliance in the hope to defeat the long rule of Prime Minister Sali Berisha’s Democratic Party. The alliance led by SP leader Edi Rama won the election by securing 65 seats against the 50 seats obtained by the Democratic Party. Securing a comfortable majority in parliament. The new government reformed certain key area’s to meet the standards for EU accession. Generally Albania is considered to be moving into the right direction: it became NATO member in 2009 and is expected to open the EU accession negotiations in 2018 Many challenges remain however such as judiciary reform and fight against organized crime and corruption. . In the run up to the 2017 elections Democratic Party called a boycott of the elections and the parliament, raising concerns over the electoral process. A wave of protest begun in early February. The demonstrators called for the removal of the ‘’autocratic regime’’ of Edi Rama. In May the opposition and the government compromised on certain issues. Promising that the upcoming election would be as fair as possible and securing future dialogue between the two parties. The second term of Rama has proved to be more difficult than the first. With opposition boycotting the parliament, Rama has a hard time trying to reform the country. In addition, the Prime Minister is criticized for increasingly authoritarian rule of the party and the country. The situation concerning women’s issues remains worrisome. Despite the considerable number of women’s NGOs, their political influence continues to be restricted. Some improvement has been seen in the lists of the 2013 parliamentary elections. According to the electoral code, 30 percent of the candidates in the top tier of the lists should be women. Article 175 of the electoral code spells out that when a political party does not meet gender quotas, the Central Election Commission (CEC) sanctions that “any replacement of a vacancy in the party’s MP list will come from the gender less represented”. Political participation of minorities is not high on the agenda in Albania, perhaps because Albania - in contrast to neighbouring countries - has not encountered any ethnic, racial or religious problem or conflict. Officially recognised are the Greek, Macedonian and Montenegrin national minorities, while the Roma and Aromanians are recognized and respected as linguistic minorities. However, in the 2009 electoral process, minority populations, notably Roma, continued to be marginalised and were subjected to election intimidation and attempted ‘vote buying’. According to the OSCE, minorities generally enjoyed respect of their rights in the run up to and during the elections. National minorities are guaranteed equal rights under the Constitution. While no reliable official data on minorities is available, it is widely believed that the Greek and the Roma communities are the largest. In May 2014, the Council of Europe adopted a resolution calling on Albania to implement the Framework Agreement for Protection of Minority Languages and provide education in these native tongues throughout the country. Albania is a parliamentary republic with a unicameral parliament, the National Assembly. It consists of 140 members elected for a four-year term, and under the constitutional guidelines a government can be formed if a party or a coalition of parties gathers at least 71 seats in the National Assembly. The head of state in Albania is the president, who is elected for a five-year term by the parliament. The president has no legislative or executive power, but represents the state in foreign relations, and is chief commander of the army. Since 24 July 2017 the President of Albania is Ilir Meta, the leader of the Socialist Movement for Integration (LSI). He was elected by the National Assembly by a vote of 87 to 53. Albania has a regional proportional voting system divided into 12 electoral regions. Capital Tirana, which is the largest region population-wise, elects 34 MPs. Political parties nominate a MP list for each region for the total number of seats. According to the electoral code, 30 percent of the candidates in the top tier of the lists should be women, a rule that few parties respected in the June 2013 parliamentary elections. The prime minister is approved by the president with the approval of the parliament. The 12 electoral constituencies correspond to the country's 12 administrative regions. Within any constituency, parties must meet a threshold of 3 percent, and pre-election coalitions must meet a threshold of 5 percent. This is a consequence of the new electoral code introduced in 2009. The threshold has been largely criticised, because of the obstacle that it presents to smaller parties. In fact, of all the political parties in Albania, only the PS and the PD favoured the new electoral system. Smaller parties contended that the reform served only the interests of those two main parties, while largely if not totally excluding small parties from entering the parliament. The centre-left coalition headed by the PS declared after the June 2013 elections that all cabinet ministers will resign their parliamentary seats to provide for a better separation of power, and checks and balances, between the government and the legislative branch. On 25 June 2017, parliamentary elections took place in which the Socialist Party of Albania won convincingly by obtaining 48.3 percent of the votes (74 out of 140 seats). Since 71 seats are needed for a majority, there will not be a parliamentary coalition. Former major of Tirana and SP leader Edi Rama will remain as Prime Minister. Despite a shooting on the day of the elections, which left one SP activist dead, and a Democratic Party (DP) candidate wounded, international monitors noted overall improvements in Albania’s elections. The counting process took several days more than expected, and outgoing Prime Minister Sali Berisha of the Democratic Party of Albania (DP) disappeared for several days, after the election, before conceding his defeat. EU enlargement Commissioner, Stefan Füle and EU High Representative Catherine Ashton stated the elections took place in an overall orderly manner. According to the OSCE, "the June 23 2013 parliamentary elections were competitive, with active citizen participation throughout the campaign and genuine respect for fundamental freedoms. However, the atmosphere of distrust between the two main political forces tainted the electoral environment and challenged the administration of the entire electoral process. Voting proceeded well, albeit with procedural irregularities, but counting was delayed in many areas". With the win of the left-wing coalition, outgoing PM Sali Berisha’s longest rule since the collapse of the Communist regime in Albania has ended. Being active in politics for over 20 years, serving as President and Prime Minister, Berisha won the 2005 elections on a campaign promising to rid the country of corruption. In 2009, the SP did not recognize the narrow election win of Berisha’s DP due to alleged elections fraud. Consequently, Albania ended in a political crisis for most of the time between 2009 and 2013, characterised by boycott of the parliament by the SP, mass street protests, further political and societal polarisation and standstill in the EU integration process. It took some time after the 2013 election results came in until Berisha conceded defeat on 27 June: “We lost this election and the responsibility falls only on one person, Sali Berisha,” he said. “I have decided to resign from all my leadership positions in the Democratic Party but stay on as a member and as an MP,” he added. It is now up to the new Socialist Prime Minister, Edi Rama, to boost the economy, fight the corruption and bring Albania closer to the EU. In order to achieve this, improved relations with the DP and its new to be elected leader are needed. Rama stated that a huge task lies upon the new government but that he is confident that progress will be achieved. The new government took office in September 2013. The head of state in Albania is the president, who is elected for a five-year term by the parliament. The president has no legislative or executive power, but represents the state in foreign relations, and is chief commander of the army. Since 24 July 2017 the President of Albania is Ilir Meta, the leader of the Socialist Movement for Integration (LSI). He was elected by the National Assembly by a vote of 87 to 53. 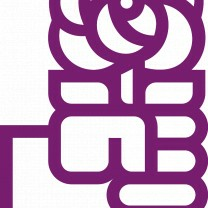 The Socialist Party is the successor of the communist party, the Albanian Workers’ Party, during the communist time the sole legal political party in Albania. In 1991, the party participated in the first free elections and won a clear majority, 169 out of 250 parliamentary seats. However, the government formed after the elections fell apart after a month. Subsequently, a committee of national salvation was formed, but they also collapsed in half a year. In the national elections held thereafter in March 1992, the Socialists lost a large share of its supporters and the party was trumped by the Democratic Party; the SP won only 38 seats in 1992 and in the national elections in 1996 merely 10 seats. According to the SP, the parliamentary elections in 1996 were not free and fair. The party accused the Democratic Party of intimidation, the DP won 122 out of 140 seats in the first round, and international observers concluded that the elections did not meet the international standards nor the standards of Albanian law. In 1997 premature elections were held, due to a period of riots after failed financial investment schemes by the government. The elections meant a clear victory for the SP and with 101 seats the Socialist formed the government. In the parliamentary elections of 2001 the SP was again the majority with 73 seats in parliament. The parliamentary elections of July 2005 meant a comeback for the Democratic Party, after the SP lost its majority with 42 seats and became subsequently an opposition party. Because of the election results, the party leader of the SP and former PM Fatos Nano, resigned in September 2005. Led by Nano, the SP helped to reform the old communist party and under his leadership the SP became a member of Socialist International. 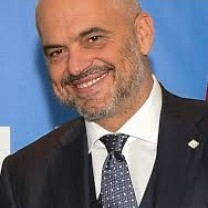 The successor of Fatos Nano is Edi Rama, the former Mayor of the capital Tirana between 2000 and 2011. With Rama, a new era of development for the Socialist Party began, as he never had direct links with the former Stalinist regime. The loss of the party in the elections of 2005 could be partially explained by a split within the SP itself. In the summer of 2003, Paksal Milo, former Minister of Foreign Affairs, split from the Socialist Party due to internal disputes about the party’s leadership. Milo formed a new party, the Social Democracy Party, and joined the government with this new party. In 2004, former Prime Minister Ilir Meta left the SP as well, due to persistent disagreements with Fatos Nano, which led to the formation of the Socialist Movement for Integration (LSI). In the elections of 2005 the two new socialist parties won respectively 2 and 4 seats in parliament. In the June 2009 parliamentary elections, the SP won as an individual party the highest number of votes, however, it was the centre-right coalition led by the Democratic Party that won a majority of votes and the largest share of seats in the parliament. The SP became again, with 65 seats, an opposition party. The SP accused the government, and the DP in particular, of electoral corruption, called for a recount, and boycotted the National Assembly for several months. In the June 2013 parliamentary elections, the Alliance for a European Albania won convincingly by obtaining 57.7 percent of the votes (84 out of 140 seats). This left wing coalition – united under the name Rilindje (Renaissance) – was headed by the Socialist Party of Albania (SP). Left wing Socialist Movement for Integration (LSI), that was part of the former conservative led government, was part of the same Alliance. Former major of Tirana and SP leader Edi Rama was installed as Prime Minister. On 25 June 2017, the latest parliamentary elections took place in which the SP won convincingly by obtaining 48.3 percent of the votes (74 out of 140 seats). Since 71 seats are needed for a majority, there will not be a parliamentary coalition. Edi Rama will remain as Prime Minister. The Socialist Movement for Integration was formed as a splinter party from the SP after Ilir Meta quit the Socialist Party due to a disagreement about the re-election of Fatos Nano during a party Congress in December 2003. Ten other deputies, among which popular ex-members of the chairmanship, joined the movement. The LSI announced its conversion into an independent political party in a founding Congress in September 2004. In the June 2009 parliamentary elections, the LSI won 4 seats, and joined the Democratic Party led alliance to form a government coalition. In the run up to the election the reform of election law was discussed which would increase the threshold to get into parliament. This increase, supported by the SP, could have left LSI out of the parliament. In the 2013 parliamentary elections the LSI gained 16 seats. While the LSI was part of the former conservative led government, the party was part of the winning left-wing coalition Alliance for a European Albania in the elections of 2013. In the 2017 elections, the LSI increased its number of seats by 3, achieving a total of 19 seats. However, since the Socialist Party gained a comfortable majority, there is no need for a parliamentary coalition. This puts the LSI in the opposition. 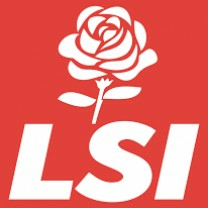 The LSI is a social-democratic party in nature, oriented towards a liberal market economy that operates and progresses within a social welfare state. The party is based on social democratic values and the core objective is: a cohesive Albanian society integrated into European and Euro-Atlantic institutions. The Social Democratic Party of Albania (PDS) is a minor political party in Albania founded on social-democratic principles. The party held seats in Parliament between 1992 and 1996, and again from 1997 until 2009. It is currently led by Skënder Gjinushi, a former Chairman of the Parliament of Albania (1997-2001) and Minister of Education (1987–1991). The 1992 parliamentary elections were the first elections in which the Social Democratic Party of Albania took part, and the party managed to obtain 7 seats. The third election, in 2001, was less successful as they had to give up three seats. In 2005, the number increased again from 4 to 7 seats. Since the 2009 and 2013 elections did not result in any seats, 2017 was a small victory for the party. The Democratic Party of Albania is a centre-right political organisation, and the main governing party from 2005 to 2013. The DP is an observer member of the European People’s Party (EPP), the European umbrella for centre-rights parties, and a full member of the Centrist Democrat International. The Democratic Party was founded in 1991, following student demonstrations that brought down the communist regime. DP was the first opposition party to be formed after the fall of the one-party system. During his first time in government - between 1992 and 1997 - Berisha tried to increase presidential power but was accused of trying to impose an authoritarian regime. He also introduced changes towards a market economy, which only favoured a small percentage of the population, while the majority of Albanians lived in still harsher poverty. When in 1997 snap elections were called to pacify a civil unrest that broke out following the bankruptcy of a series of pyramid-style investment schemes, the DP became an opposition party. The style of the DP has always been one of confrontation. Only in recent years - after significant pressure by the United States and the European Union - the party has adopted a more co-operative behaviour. In the period out of office, Berisha has retained his seat in parliament, but frequently boycotted the body in protest at alleged government corruption and incompetence. He often accused the incumbent government of Prime Minister Fatos Nano of masterminding a number of murders and assassination attempts on opposition politicians. In the parliamentary elections of 2001, the Democratic Party formed and led the Union for Victory Coalition (UfV), a coalition of right-wing political parties. The four partners were Movement of Legality Party (ML), Republican Party (RP), National Front (NF) and Liberal Democratic Union (LDU). The UfV alliance won 46 seats in parliament, against 73 seats for the Socialist Party. The remaining 21 seats were allocated among five small parties. It was not until the parliamentary elections of 2005 that the DP regained their power. In the elections of 2005 the party won 56 seats in parliament, and together with other small rightist parties, it formed the government and enjoyed a comfortable majority in the parliament. In the elections of 2009 the DP received 67 seats, however, still not enough to form a majority. Sali Berisha chose his former socialist opponent Ilir Meta and his LSI to form a coalition, and for the first time in the political history of Albania, a centre-left party coalition was formed. The LSI were offered three important ministerial portfolios, namely foreign affairs, economics and healthcare. Not surprisingly, Rama’s SP loudly criticized the newly-formed coalition, considering LSI’s alliance with Berisha as a betrayal of the left. In 2013, with the win of the left-wing coalition Alliance for a European Albania, outgoing PM Sali Berisha's longest rule since the collapse of the communist regime in Albania ended. It took some time after the 2013 election results came in until Berisha conceded defeat on 27 June: “We lost this election and the responsibility falls only on one person, Sali Berisha,” he said. “I have decided to resign from all my leadership positions in the Democratic Party but stay on as a member and as an MP,” he added. The Party for Justice, Integration and Unity is a merged political party which was formed as a union of the Party for Justice and Integration and the Party for Justice and Unity. The primary aim of PDIU is promotion of the national issues of Albanians, including Kosovo, Albanians in Macedonia, Montenegro and the Preševo Valley. Also the party pays attention to the promotion of the Cham issue, an issue which has been raised by Albania since the 1990s over the repatriation of the Muslim Cham Albanians, who where expelled from the north-western Greek region of Epirus between 1944 and 1945. In February 2011, the PDIU was founded as one party that represents the Cham Albanians in politics. In the parliamentary elections of 2013, the PDIU obtained 4 seats and was part of the Alliance for Employment, Prosperity and Integration, which gained 57 seats in total (39,5 percent of the votes). Subsequently, the party lost one seat in the 2017 parliamentary elections.